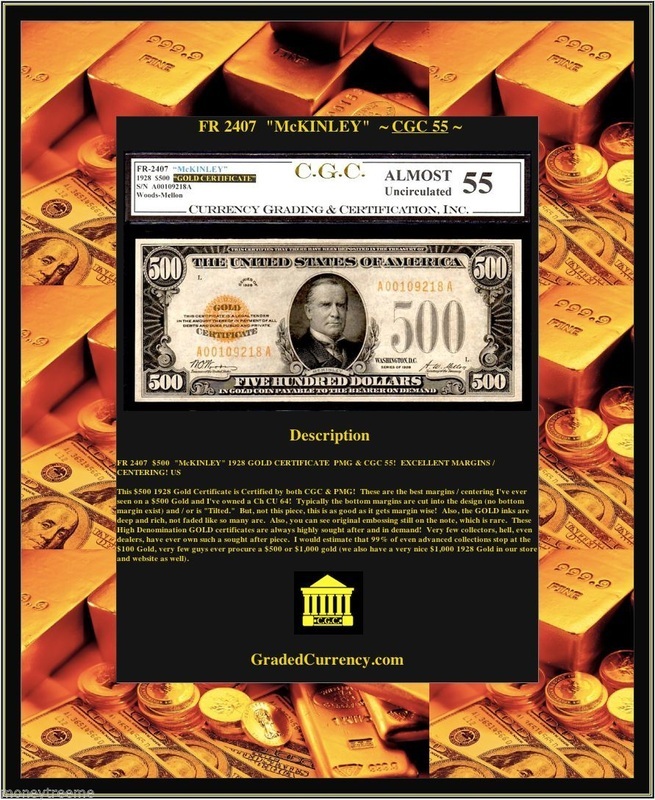 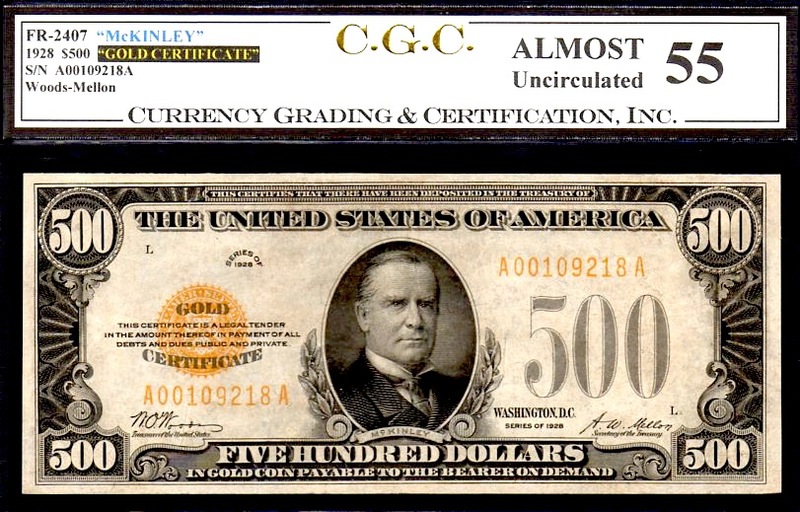 This $500 1928 Gold Certificate is Certified by both CGC & PMG! 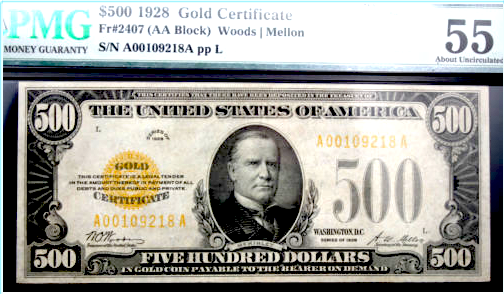 These are the best margins / centering I've ever seen on a $500 Gold and I've owned a Ch CU 64! Typically the bottom margins are cut into the design (no bottom margin exist) and / or is "Tilted." 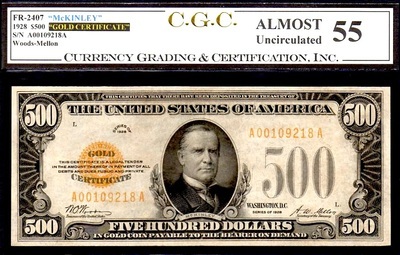 But, not this piece, this is as good as it gets margin wise! Also, the GOLD inks are deep and rich, not faded like so many are. 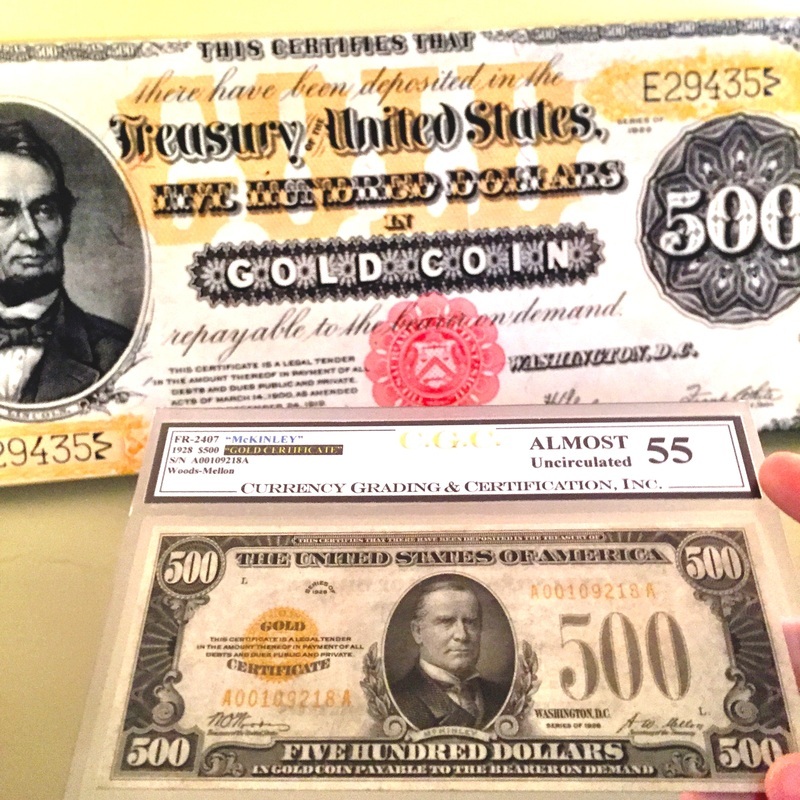 Also, you can see original embossing still on the note, which is rare. These High Denomination GOLD certificates are always highly sought after and in demand! 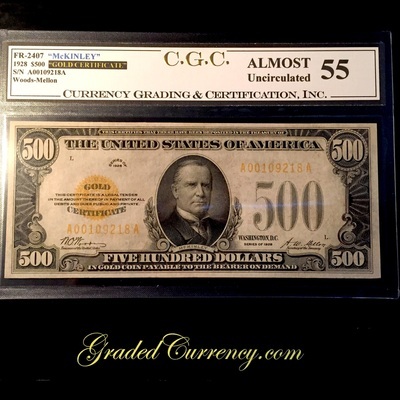 Very few collectors, hell, even dealers, have ever own such a sought after piece. 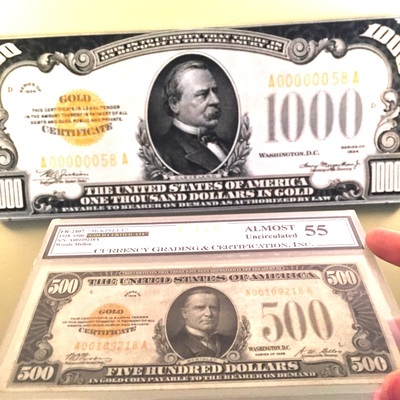 I would estimate that 99% of even advanced collections stop at the $100 Gold, very few guys ever procure a $500 or $1,000 gold (we also have a very nice $1,000 1928 Gold in our store and website as well). 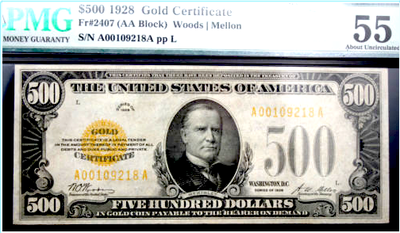 *** COMPARISON: AUCTION PCGS 58 SOLD $30K 4/2008 ; ANOTHER PCGS 55 SOLD $21,150 AUG 2014 (WITH HORRIBLE MARGINS / BAD CENTERING)!!! 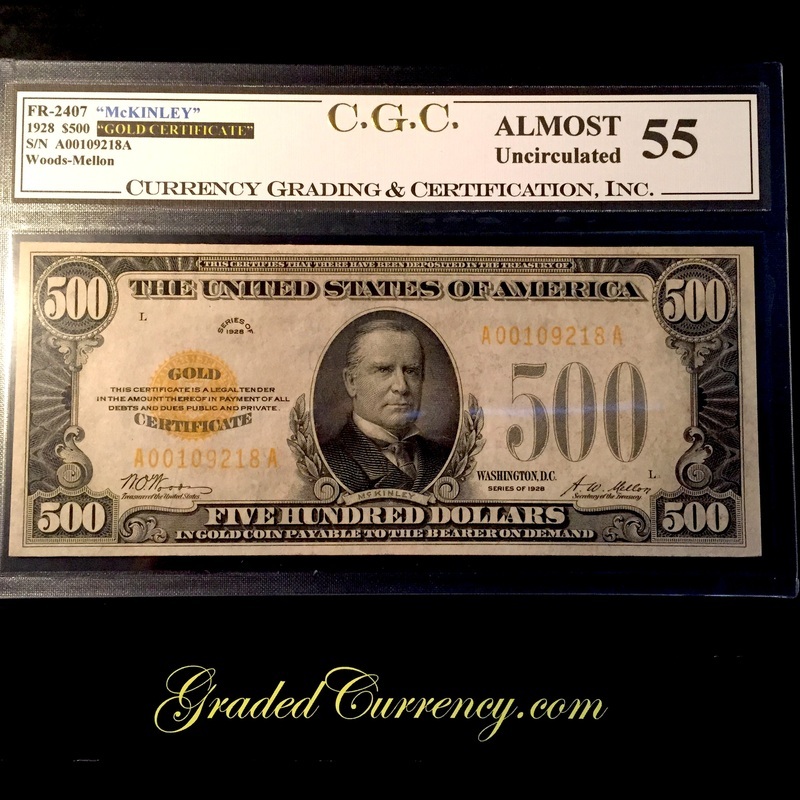 THIS PIECE HAS NEARLY PERFECT CENTERING AND IS EVEN SUPERIOR TO THE 58 THAT SOLD FOR $30,000 BACK 7 YEARS AGO!